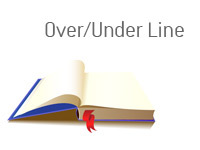 Over/Under Line Definition - What Does Over/Under Line Mean? What does the term "over/under line" mean as it applies to the world of sports betting? What is meant by the "over/under line"? 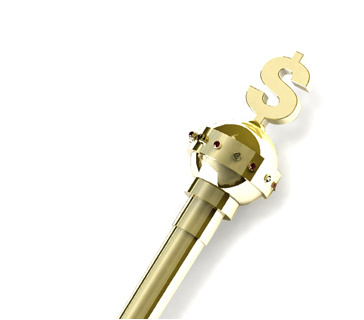 When it comes to sports betting, there are many, many different types of bets available. You can bet on the outcome of a game. You can bet on how many yellow cards there will be in a soccer game. You can bet on how many touchdowns will be thrown in a football game. With many sports, you can also bet on the total number of goals or points that will be scored in a game. If you think that there will be MORE than 47 points scored in the game, you will want to bet on the OVER. If you think that LESS than 47 points will be scored in the game, you should take the under. Let's say that the Seattle Mariners are playing against the Texas Rangers, and Felix Hernandez is pitching against Yu Darvish. Probably will be a low-scoring game, right? You look at the over/under line for the game and see that it is set at 5.5 runs. You firmly believe that there will be LESS than 5.5 runs scored in this game, so you decide to bet on the under. That's it! It's as simple as that.